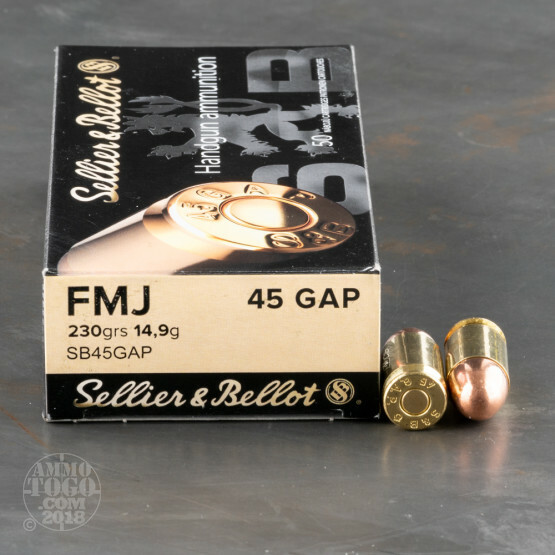 The 45 GAP was developed to deliver an improvement to the strength of the 45 ACP’s head case, and also to fit comparable power into a more compact handgun. 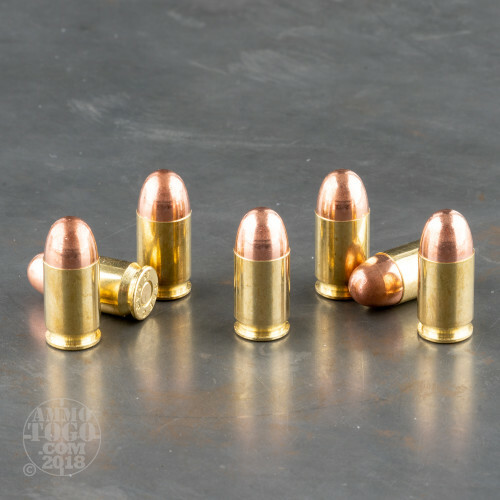 If you favor a Glock 37, 38, or 39 for the job of keeping yourself safe, then you’ll especially enjoy training with this quality cartridge by Czech manufacturer Sellier & Bellot. 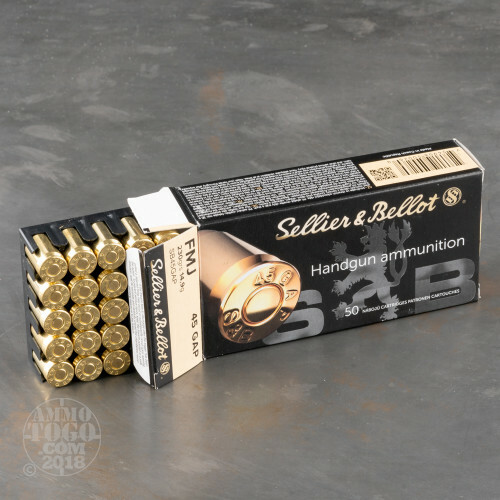 Sellier & Bellot makes this round’s 230 grain projectile’s full metal jacket out of 90 percent copper and ten percent zinc, an especially strong alloy which will permit smooth feeding in a semi-automatic and ensure full penetration of a variety of media which can be used for targets. The bullet’s jacket will further preserve your weapon’s accuracy over the course of an extended visit to the range. 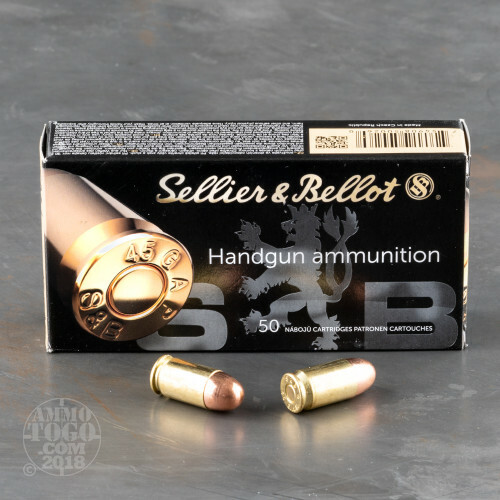 Sellier & Bellot’s standardized production process has ensured that each of these rounds’ brass casings are all interchangeable with one another for guaranteed consistent performance, and the small pistol primers they’re fitted with are easily replaceable for rewarding handloading after the fact.